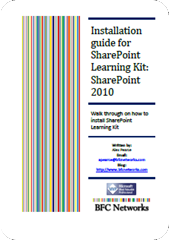 You should becoming increasingly familiar with PowerShell and SharePoint 2010 now and you are building so great scripts to help manage your environment. A few weeks ago I had the requirement to create over 3000 sites with the site names stored in a Excel spreadsheet. But first we need to understand how to create a site using Powershell. The special command is new-spweb which only has 1 requirement and that is the URL of the site but there are several other parameters that you should use when creating a site with Powershell. -AddToTopNav Do you want the site to display in the top navigation bar? 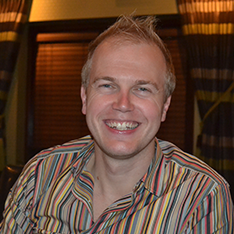 -UseParentTopNav Do you want the site to display in the parent navigation? Click the image to be taken to the download page or click here. 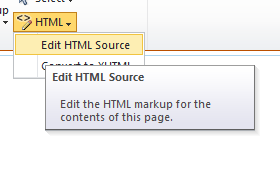 Here are a list of all the site template ID numbers that you can use in SharePoint 2010. When creating a new site through Powershell or STSADM you are asked to provide the site template ID for each of the sites. How much content you want to crawler on that website? Do you want to crawl the whole website? 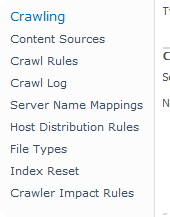 The larger the website your crawler the larger the database will grow in your SharePoint/SQL Farm. When will you crawl the site? Does crawling it a secpefic times course a lag on other reaching the site. Know how many pages deep you need to go into the site. 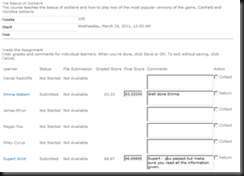 For this example I decide to crawl my blog site http://www.bfcnetworks.com. I have a few web analytic plugins installed which help me to understand which are my frequently hit pages and also for me to see the number of people who are visiting my site. I can also see which page the bot is crawling as well. Using StatPress it allows me to see the pages that were last hit. 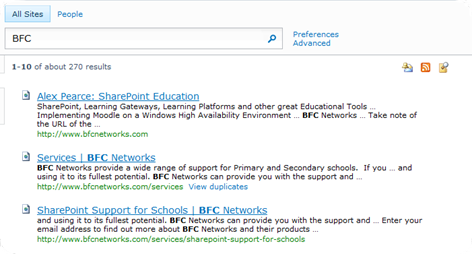 Log into your Central Admin and go to your Search Administration page. 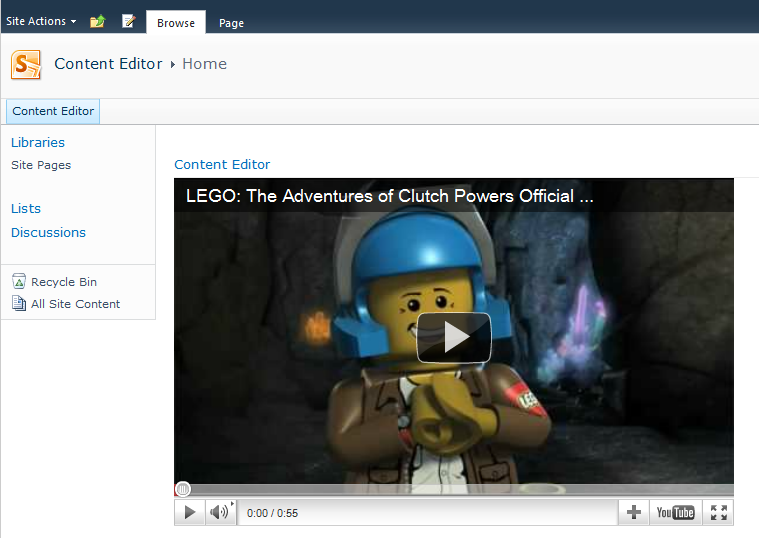 Give a name to the content source and select Website as a Content Source Type. Enter the name of the website you want to crawl. From evaluating which website and the pages you want to crawl enter number of pages deep you which to crawl. Select up any crawl schedules you want. Select OK to save this new Content Source. 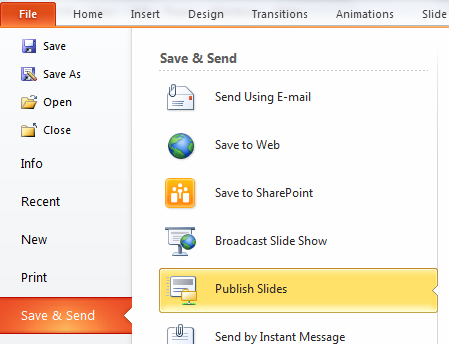 With SharePoint 2007 and 2010 we can upload slides from our PowerPoint and upload and share them in a SharePoint Slide Library. Here’s how to do it. 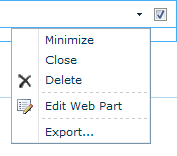 Go to Site Actions and select More Options. From the list select Slide Library and click create. Give you slide library a name and click Create at the bottom of the page. Take note of the URL of the document library. 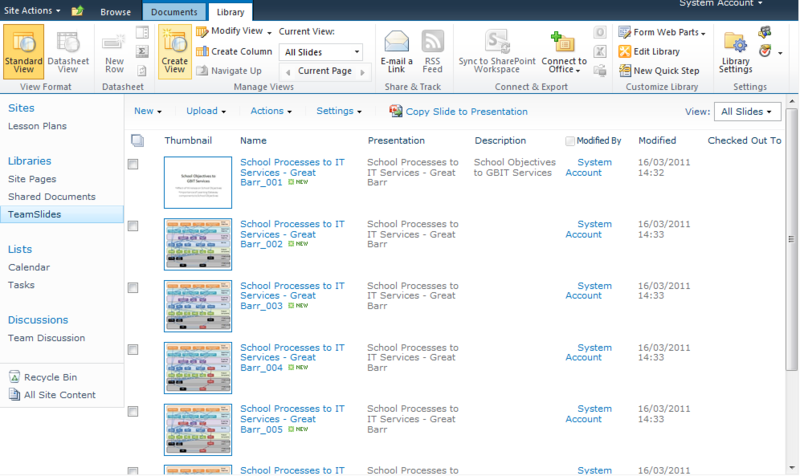 Now select Publish Slides. You will now be asked which slides you would like to upload. 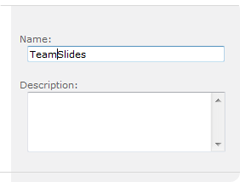 Either check the individual slides you want to upload to click on Select All. Enter the URL of the Slide Library we created earlier and click Publish. 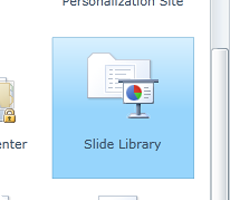 When you click publish you will see at the bottom of the PowerPoint a status bar letting you know when it the upload process is going. 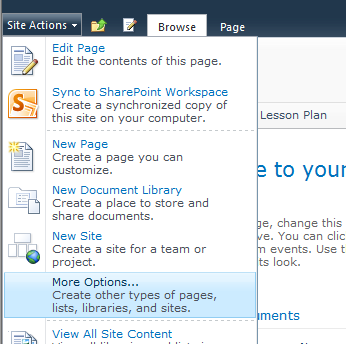 When it has completed it you will see the slides you uploaded in the SharePoint Slide Library. 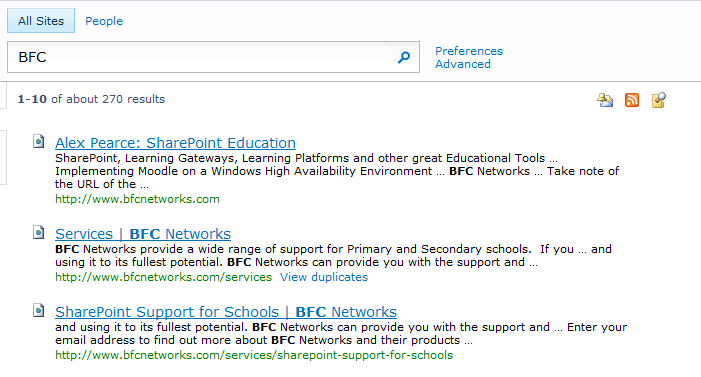 SharePoint Search can do so much more than just search your SharePoint sites and one of the features with in SharePoint 2007 and 2010 is the ability to search a file share. 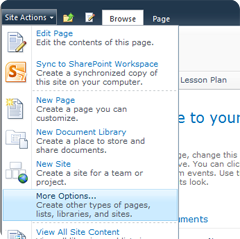 Here is how to configure SharePoint to crawl a file server. In my environment I have 2 servers. A domain controller that is a file server and also a single SharePoint 2010 server farm. 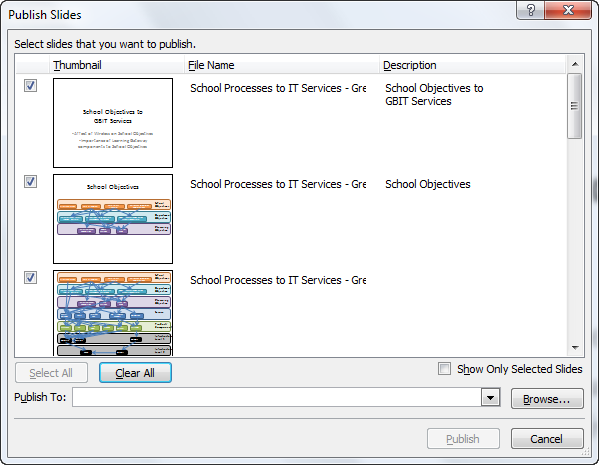 Give a name to the content source and select File Shares as a Content Source Type. 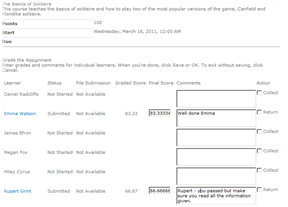 Add the UNC path for the shared documents. If you want just that folder to be searched select ‘Only crawl the folder of each start address’. 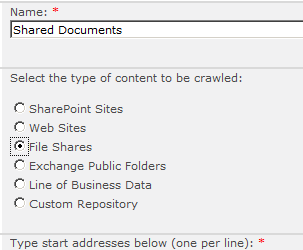 The SharePoint Search Crawler will run under a user and this user requires permission to the shared folder. 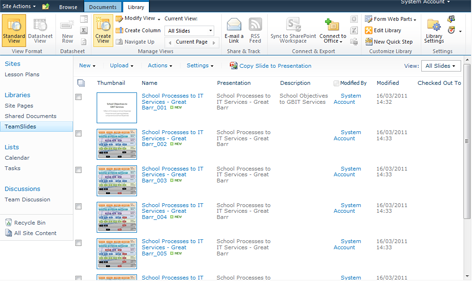 To ensure you know which user is crawling you can do this on your file server by opening the File Services Snap In and selecting Manage Session from the Action panel. You will see which user is connecting to that share. Add the user to have Read Only permission to that share and folder.